While writing and researching these site histories I find myself imagining the location of the building and when I see the actual picture, I am amazed that I have driven by it numerous times without realizing its significance. Often times, the site is a mansion that I have seen and wondered about, but never took the time to research. As I delve deeper into Kansas History I am able to make connections to the places with the modern day world. 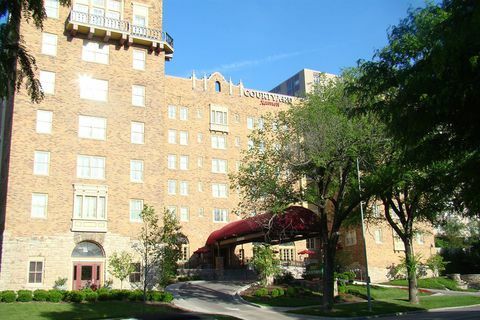 For example, I once stayed at the Courtyard Hotel (Marriott) on the Country Club Plaza and after completing a site history for this hotel, learned that it was originally the historic Park Lane Apartments/Hotel built in the early 1900s as part of the J. C. Nichols vision for the Country Club District. Though it now serves Marriott hotel guests, it was once the location of grand parties associated with the Jazz and Prohibition Era. Learning the history of this location made it that much more interesting and now it is not just a hotel that I stayed at once. In a way, I have begun the transformation from a passive consumer of history to an active consumer. Although the word history seems to suggest incredibly important events, sometimes it as simple as a hotel that was built by a famous architect and real estate developer. What makes that kind of history important is not just the famous people associated with it or the noteworthy architecture, but the way in which it connects to the everyday citizen. So the next time you drive past a home or building that looks particularly interesting, try researching the place. You might find some history that will connect you to your city, and to that site that has become part of your everyday commute. In any case, you will become an active consumer of the everyday history, often the most rewarding kind. 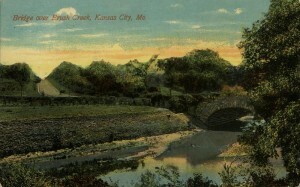 This entry was posted in HistoryMaking and tagged Active Consumer of History, History of the Everyday, Kansas City Local History, Office of Historic Preservation on February 27, 2014 by Natalie Walker. This entry was posted in Open Internships and tagged Midwest Center for Holocaust Education, National Archives of Kansas City on February 25, 2014 by Chris Cantwell. Research on similar exhibits and existing programs to learn best practices and potential areas for innovation. By the internship’s end students will gain valuable experience in the art of historical interpretation, connecting history to the public through innovative exhibits and and creative narratives. Interested students should reach out to Gerard Eisterhold (Jerry@eisterhold.com), head of Eisterhold Associations, for more information. Graduate students are preferred, but qualified undergraduates will be considered. Students interested in applying should follow the instructions on the How to Apply page. Applications will be received until the position is filled. This entry was posted in Open Internships on February 23, 2014 by Chris Cantwell. The TWA Museum at the Wheeler Airport in downtown KC seeks an unpaid summer intern to work in the field of museum education. Interns will work with both the museum’s director and its archivist to design and implement a new tour of the museum, as well as a child-focused education program on the science of flight for the museum’s education center. Opportunities also exist for interns to work on training docents for the tour, as well as scheduling group tours and public programming. Interested applicants should reach out to Carol Emert (carolemert@gmail.com), the museum’s archivist, for more information. Students wishing to apply should follow the instruction in the How to Apply page. The museum wil accept applications until the position is filled. This entry was posted in Open Internships on February 22, 2014 by Chris Cantwell. 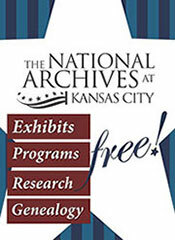 The National Archives at Kansas City selectively offers unpaid internships to students currently enrolled in undergraduate- and graduate-level programs such as history, library and information science, social sciences, museum studies, and related disciplines. Unpaid interns are provided with a broad-based introduction to the archives field. Unpaid interns work with archives staff while gaining experience with a variety of tasks, including describing holdings; performing basic preservation measures; preparing finding aids and indexes; creating educational and promotional materials; providing reference services on textual and audiovisual materials to the public; and learning about archival exhibits, records management, and the archives profession. We ask that unpaid interns give a minimum of 120 hours of service, which is usually accomplished by working three 40-hour weeks. Some flexibility in the schedule is possible to accommodate classes and work. The Archives will continue to accept applications until all positions have been filled. For more information, including how to apply, please see the full call for applications. This entry was posted in Open Internships and tagged National Archives at Kansas City on February 21, 2014 by Chris Cantwell. The first day there, I was given the opportunity to sit in on a board meeting. ATHS is large, so they have board members from across the U.S. Each member can then join a committee of their choosing. (Archival, fundraising, etc.) It was nice to see how other museum entities functioned with their boards. ATHS is quite different though because the majority of their board are or were truckers, so sometimes it can be a challenge with conflicting ideas based on personal interest and professional need. My main project so far has been helping to organize the ATHS’s White Photo Collection. The White family began the ATHS, so the majority of the photos were passed on from them. This task seems so large, but I really enjoy the work of organizing and making sense of the collection. There are about 130,000 photos in this particular collection, and it is the largest collection the ATHS possesses. Ultimately, the idea is to digitize the collection so members can search an online database for the pictures. Also, most of the pictures are in stage one degradation (vinegar smells! ), so organization and storage needs to happen rather quickly. In the board meeting I participated in the members were discussing digitizing the collection and then possibly destroying the collection in an effort to save time and money for future storage facilities. To me this seems horrible, but I guess if you don’t have the money? What do you fellow interns think? This entry was posted in HistoryMaking and tagged American Truck Historical Society, Collections Management, White Company on February 19, 2014 by Caitlin Eckard. Jessica Rockhold, Director of School Programs and Teacher Education at the MCHE, looked up at me from her desk. “You have a word?” she asked. Usually the reason I go find her is so she can help me figure out a word that I can’t decipher. “Well…” I said. “It’s actually a sentence.” We sat down next to the boom box and I played the five-second indecipherable sentence. I rewound it and played it again. We stared at each other and Jessica started to laugh. The only words we could make out were Czechoslovakia somewhere in the middle of the sentence and Stuttgart at the end. It was, ironically, the English in between that we couldn’t make out. Eventually we figured out the words and entered them in the transcription. Before I started working at this internship, I became quite familiar with transcribing from a series of German letters as part of the online project at trugundschein.org. The palaeography skills I used for the letters are quite different from the skills I am learning now. With the letters, I had to study the old German script, and once I knew how the letters were formed, I could read the whole collection with few difficulties. With the interviews, I have to learn a new “script” each time I start with a new interview. Each person has their own cadence, different accents, and different ways of pronouncing certain sounds. While the letters are almost entirely in neat, full sentences, the interviewees pause, start and restart sentences, and change direction mid-sentence or even mid-word. 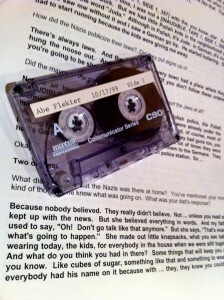 Sometimes working on these transcripts makes me feel like a detective. Unlike the letters, when the interviewee mentions a Polish town, I don’t have the spelling available, and so I need to find the town to confirm the spelling. Sometimes, if it’s an option, we can simply contact the interviewee. Other times the interviewees will drop words in German (or Yiddish, or Hungarian, or Polish, or Hebrew). Have I mentioned that Google Translate is quite useful? My background in 1930s German history has also been very useful because of the many Holocaust-related terms mentioned in the interviews. I am now well acquainted with how much knowledge and work goes into creating accessible documents for researchers. Unfortunately, despite all of our successes, some spots simply have to be labeled [UNCLEAR] in the transcript. 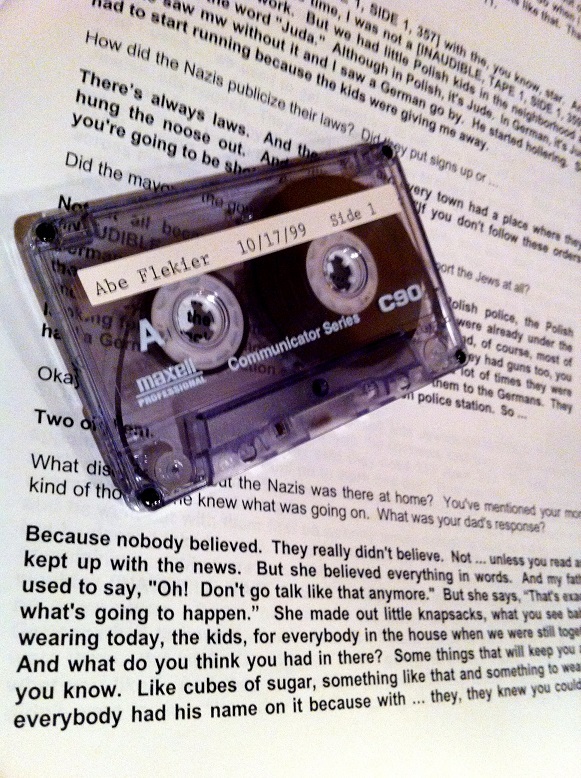 This entry was posted in HistoryMaking and tagged Midwest Center for Holocaust Education, Oral History on February 17, 2014 by Elizabeth Perry. Hello! 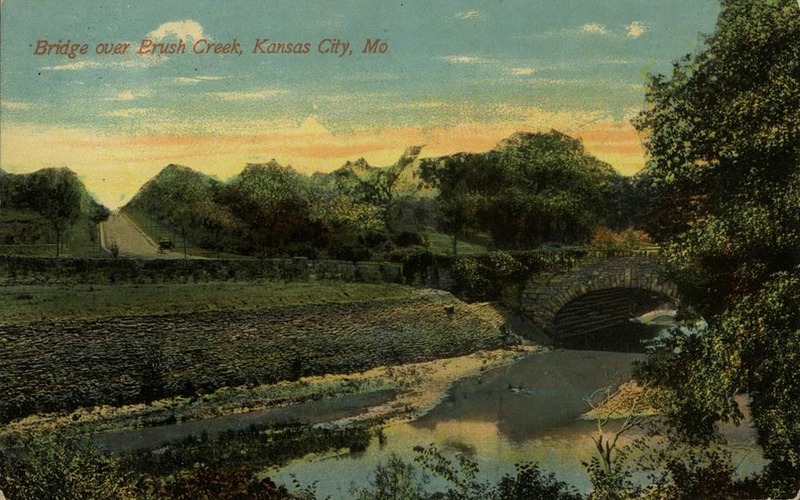 My name is Tony O’Bryan and I am a graduate student at UMKC finishing up a MA in History with a focus on 19th Century Missouri. I have dual BAs from UMKC, one in Secondary Ed and another in History and I am thrilled to be involved in the History Department’s Public History program. I specialize in the history of the greater Kansas City region and this internship opportunity is not only right up my alley of expertise, it is also my exact area of interest and study. I will doing archival work, research for museum exhibit design, and developing curriculum content for the Wornall/Major’s House Museum community education programs. 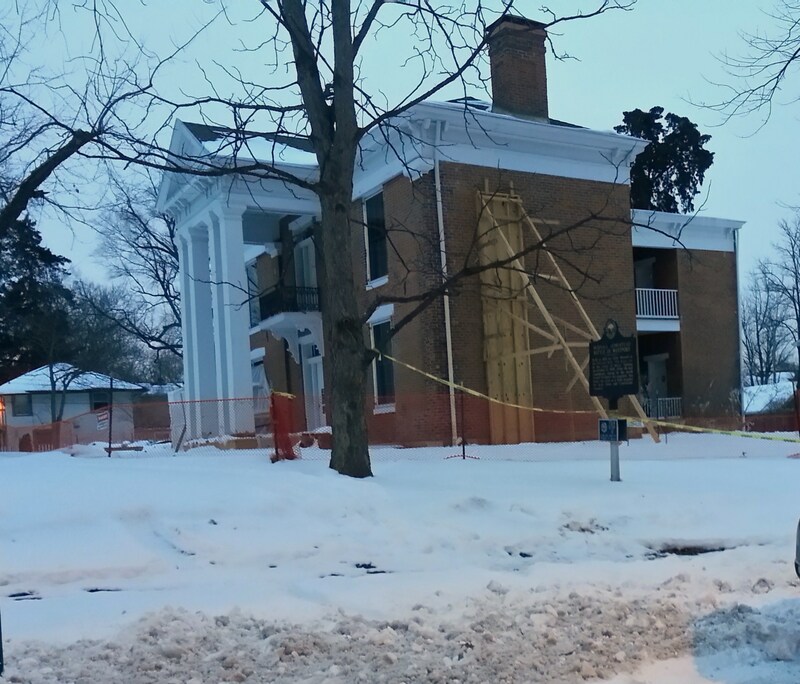 While working at the Wornall House I will get to witness firsthand some of the construction work and foundation repair that was begun to save the south wall of the old house from buckling. 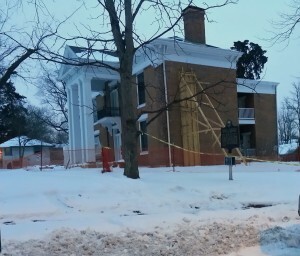 You can see in the photo how the construction crews have braced some of their repair work. I will feel right at home on a construction site. 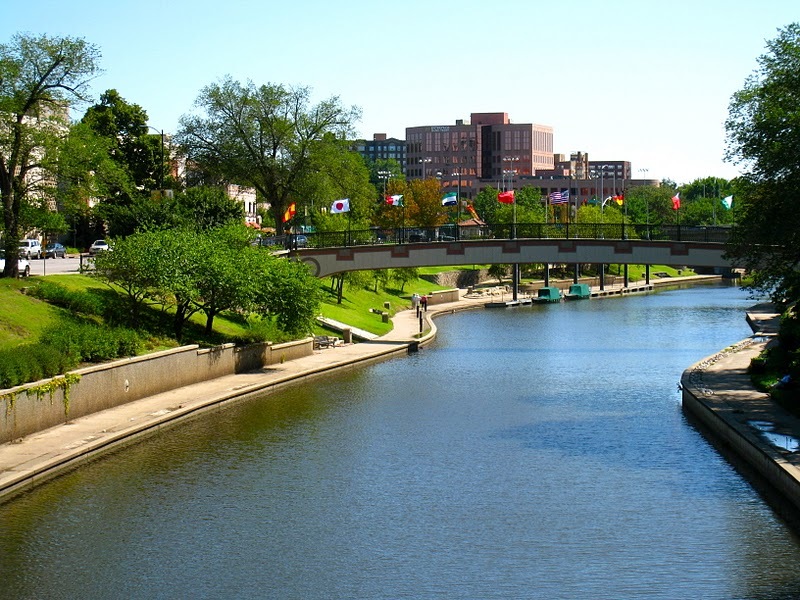 Before I returned to college full-time I spent 17 years in the construction trades in Kansas City. I have seen many regional historic homes and buildings quite literally from the inside out and these old buildings always interest me the most. According to the common narrative this house was built with the labor of just four enslaved African-Americans and two free white laborers who worked for John Wornall. The bricks were manufactured on the site. Maybe I will find out how they did it when I begin my work at Wornall House. I cannot wait. This entry was posted in HistoryMaking and tagged Introductions, Wornall-Majors House on February 13, 2014 by Tony Lawson-O'Bryan.